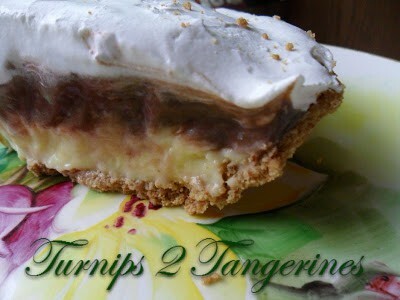 This pie is quick and easy to make. It’s made with fat-free, sugar-free instant pudding mix, fat-free milk, “free” frozen whipped topping and a ready-to-use reduced fat graham cracker crust. One cinnamon-flavored graham cracker is crushed and scattered on top of the pie. This step is optional but it really adds a nice, cinnamony crunch. 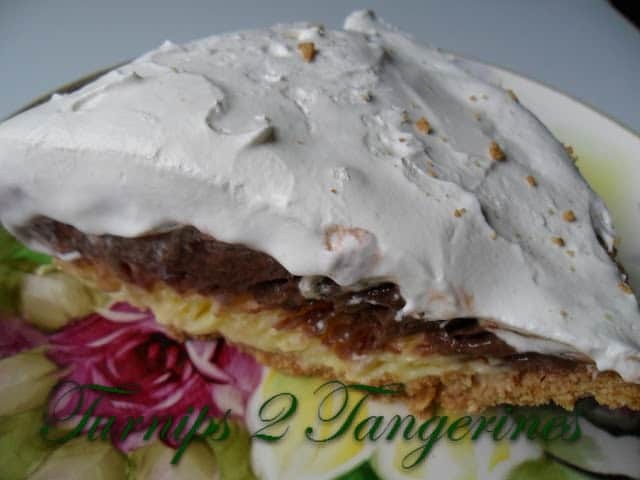 This is a great pie to make when you need a fast, tasty dessert, that won’t blow your diet. Pour one cup cold milk into a medium bowl. Add vanilla flavor pudding mix. Beat with wire whisk one minute. 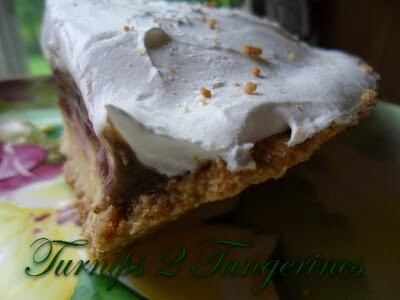 (Mixture will be thick) Gently fold in 1/2 of the whipped topping. Spoon evenly into crust. Pour remaining one cup milk into another medium bowl. Add chocolate flavor pudding mix. Beat with wire whisk one minute. (Mixture will be thick) Gently fold in remaining 1/2 of whipped topping. Spread over vanilla pudding layer in crust. Refrigerate for 1 hour. Gently spoon the remaining 8 oz tub of whipped topping over all. Sprinkle top with crushed graham cracker. Refrigerate 3 more hours. Frozen Grasshopper Pie is a delicious and refreshing, cool mint pie. Give it a try! Hi Lynn, wow… I sure love this kind of dessert. It's very delectable and delightful. Thanks for sharing your recipe.